What defines a city? What is that essence which gives it an identity all of its own – the strange, arcane customs. The architectural and historical span of its buildings? The eccentric characters? The flashes of colour at a local celebration? The mournful tones of music in a procession? No-one can capture a city like Seville, which has the strongest identity of any city I’ve ever lived in, but I’ve tried to single out the aspects which I think are unique to southern Spain’s main metropolis. 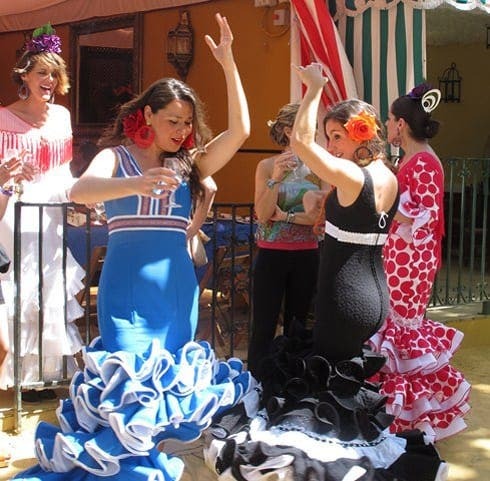 Abril, Feria de – The main social event of the year in Seville, when men and women in frilly dresses and horse-riding outfits drink and dance, day and night, for a whole week. You need serious amounts of stamina, something the Sevillanos are never lacking. 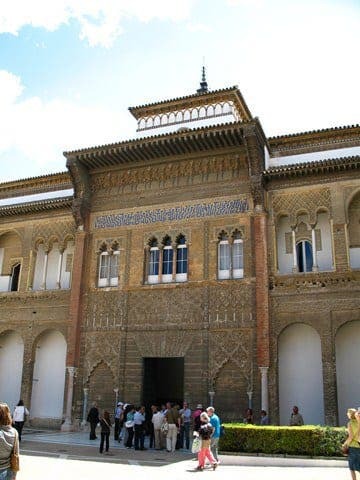 Alcazar – the fortress-palace built by King Alfonso the Wise and his son, Pedro the Cruel, in the 14th century. With its dramatic castle walls, beautiful gardens, hidden grottoes, and extraordinary Salon de las Embajadores with its gold-domed ceiling, Seville’s Alcazar is impossibly romantic. It’s also a UNESCO World Heritage site. Azulejos – glazed ceramic tiles, as seen in the Alcazar and countless other palaces, museums, pavilions, churches, offices and private houses around Seville. These ceramic tiles are made in Triana, and have been for centuries. 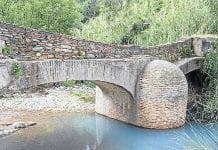 Some of the more recent ones were made at La Cartuja. 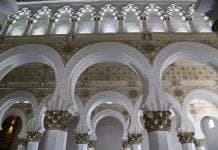 The word, like many in Spanish, comes from the Arabic – zellige, meaning polished stone. Betis – the Phoenician name for the river Guadalquivir was Baits, later Betis. Hence the name for the Roman province of Hispania (Spain) – Baetis, within which Hispalis (Seville) was located. 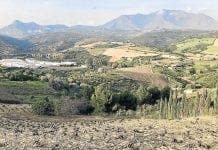 (Three Roman emperors were born in the city of Italica, outside Hispalis – look out in the next section, G-L). The city’s second (in longevity) football team adopted its name – fans are Beticos. 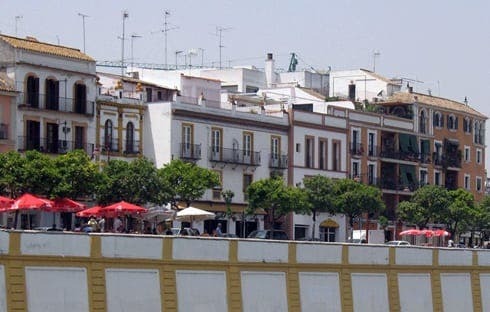 There’s also a lively bar-lined street by the river, in Triana, where everyone ends up at some point, on a night out, whether they like it or not. Note: don’t say Be-tiss, no-one will understand you; say Be-teee. 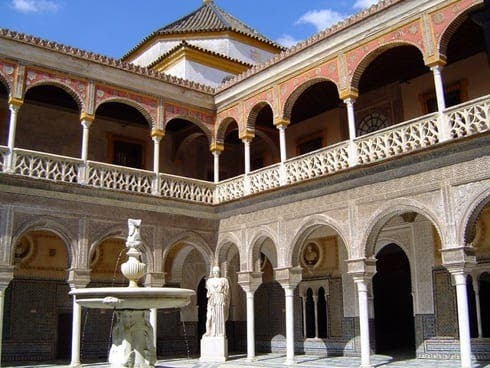 Casa de Pilatos – This is a 16th-century palace in the eastern part of the old city, with Roman statues, exquisite tiling and peaceful gardens. So-called because it is thought to resemble Pontius Pilate’s house in Jerusalem, where the Marques de Tarifa had been before setting about his magnificent mansion, the Casa has been used as a film location many times, including the mediocre 1492 (about Columbus), and The Kingdom of Heaven (about the crusades). Don’t hold that against it, though. Cartuja, La – A former Carthusian monastery (full name: Monasterio de Santa Maria de las Cuevas) which has enjoyed a strange and varied history: Columbus stayed there before setting off on his voyages (his tomb is in Seville’s cathedral); Napoleon’s occupying troops set up camp in its cloisters during the Peninsula War. 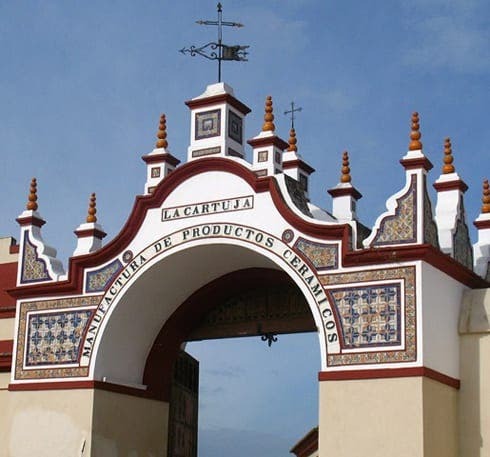 Then, in the mid-19th century, an Englishman called Pickman built the now-iconic tall, conical chimneys and turned it into a tile and porcelain factory; La Cartuja de Sevilla tableware is still going strong, though now made in another location, and a set is still a sought-after wedding present for some. Restored for Expo 92, for which major event it served as headquarters, the complex of buildings now houses a contemporary art museum and held three major art biennales in the 2000s. Sadly, the crisis put a stop to this welcome influx of cutting-edge creation. You can still visit the art exhibitions and permanent collection; chapels, refectory, patios and other rooms; outdoor concerts are held here in summer; and its outside spaces are a welcome haven from the city all year round. Duquesa de Alba – one of Seville’s most popular and enduring (literally) characters, the twice-widowed Cayetana wed for the third time last year, to the suspicion of her family and the delight of her public. She has a priceless art collection, including a Goya of her antecedent, as well as works by Rembrandt, Titian, Renoir, Picasso and Dali; a good number of palaces; and about 50 titles (including Duchess of Berwick). I’ve interviewed her once, and seen her on two other occasions, both last year: at her wedding in October, and a flamenco performance in honour of the Duchess of Cornwall in April. Cayetana’s sense of dress is original, her sense of humour is sharp, and her sense of fun is irrepressible. She loves flamenco, Semana Santa, Feria and bullfighting. 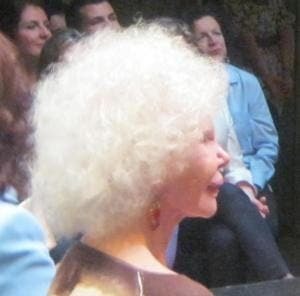 Which is why this octogenarian is still the darling of the media, the fashion world, and everyone in Seville. 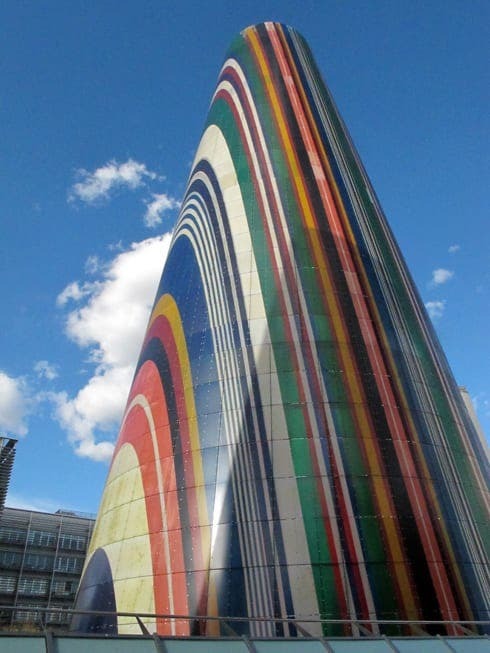 Expo 29 and 92 – Both of these <em>Exposiciones Universales (Universal Exhibitions, or Expo for short) left fascinating but sadly under-documented, under-publicised, and in more recent cases, under-utilised legacies. On each occasion, countries from around the world (Ibero Americano in 1929, with Europe and Asia as well in 1992) built pavilions which represented their history, architecture or artistic heritage. Many are extraordinary buildings, a microcosm of their culture with amazing decorative detail, such as the Pabellon de Peru, now the Casa de las Ciencias. The city was modernised before each Expo, with whole areas being razed or radically cleaned up of undesirable elements. The 1929 Expo was located in Parque Maria Luisa – most of its pavilions now have a second life as museums or offices – and the 1992 on Isla la Cartuja. Some of the latter’s pavilions are still used, and tours of the site have recently started to celebrate its 20th anniversary this year. 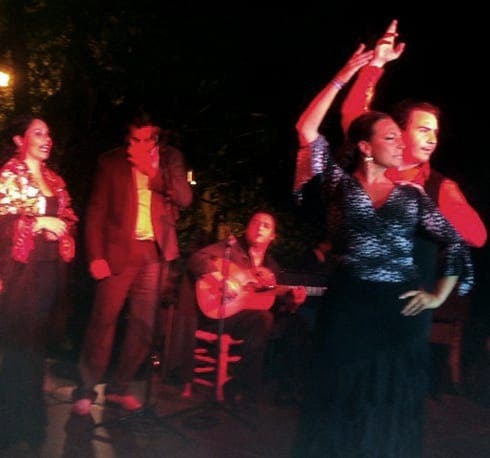 Flamenco – who can visit Sevilla without thinking of dark-eyed, foot-stomping gypsies in swirling dresses? The music, with its anguished wailing, makes your hairs stand on end, sends chills down your spine, and a host of other cliches. Its passion and pain, its staccato rhythms, its strong but graceful movements, make flamenco one of the most rewarding performances you’ll ever see (if it’s authentic), while its inestimable importance made UNESCO list it as “intangible cultural heritage” in 2010. Toque (guitar), baile (dance) and cante (singing) are the elements of this art form, whose roots go back to Morocco, India and Arabic countries. Everyone should experience it live at least once. Fiona, love how you are organizing one of my favorite cities in Spain. Your info has me yearning to return. A wonderful post, Fiona! Your love of Seville and knowledge of its quirky, delightful, crazy character shine through every paragraph. A great resource for newcomers and a fun read for veteran expats in the city.